Hey everyone! 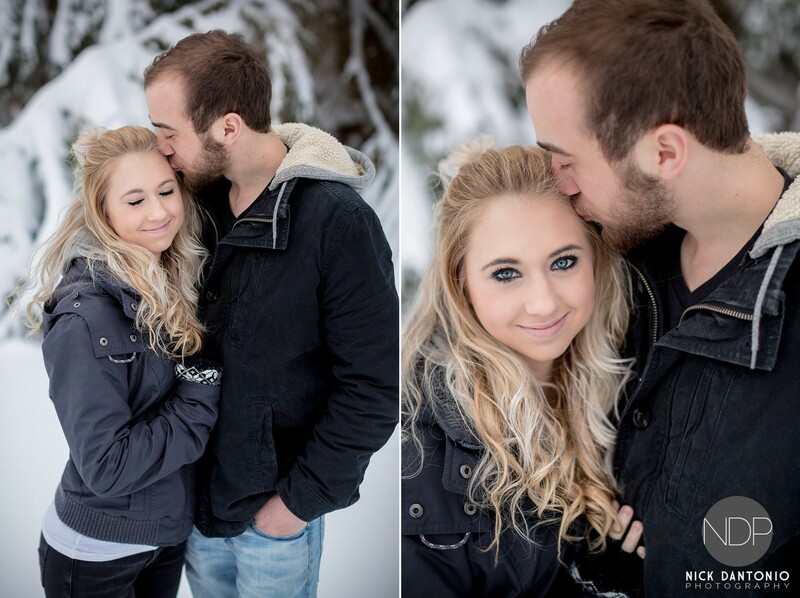 I’m excited to share Josh & Ryenne’s Winter Storm Engagement Photos with you all! It’s been a crazy week! One of my photos (above) was picked up by a bunch of news stations and social media outlets. A reporter actually came out to do an interview with Josh, Ryenne, and I (see below), too. It’s been amazing to have created a photo that’s been enjoyed by so many. Across different media types, it’s been shared over 1,100 times, commented on over 450 times and garnered over 8,500 likes! Crazy! I’d like to thank everyone for your support–whether you liked, shared, commented, or just thought it looked cool–thanks! 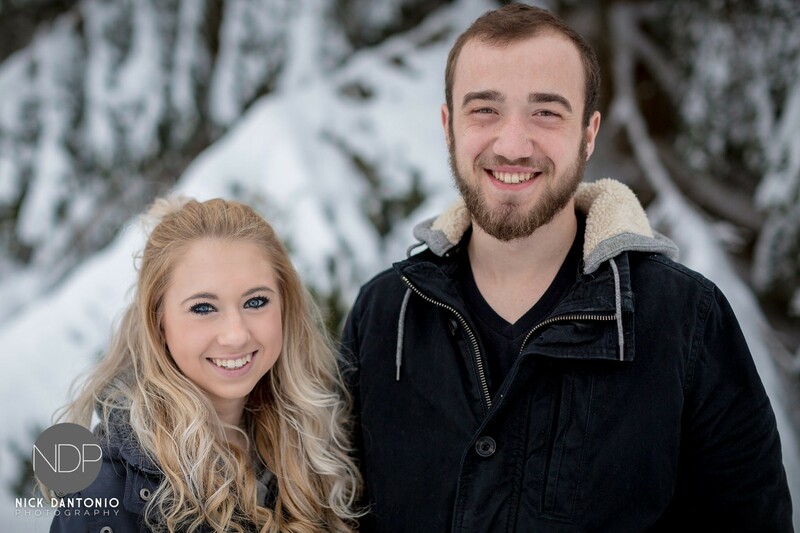 Let’s talk about how it happened…When Josh & Ryenne booked their wedding with me, they said they wanted to do their engagement in the snow. If you live in the Western New York area, you know that we’ve had a bit of a warm spell. We decided to wait for more snowfall. Last Thursday morning, Josh sent me an email asking if we could set up an engagement shoot on Friday, after the storm came through. 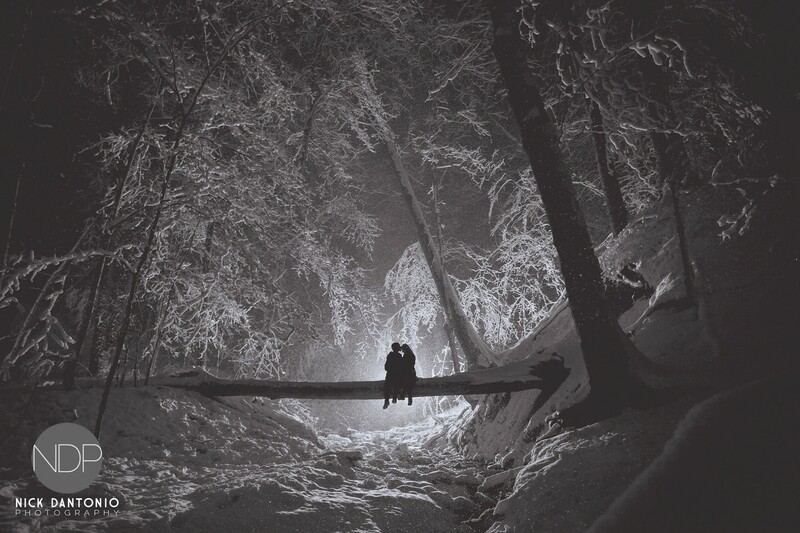 After thinking about it, I felt like doing a shoot at night, in the snow would be pretty great. They agreed. That afternoon I scouted out a location nearby and found the perfect spot. Confident in my location, we set up the meet time for around 8PM. The temperature was right at 32º, which was nice to work in in terms of feel, but the snow was so thick and heavy, we had to keep the couple under an umbrella until we got everything set up and actually ready to shoot. We stopped at a few locations on our walk to the main spot I picked out. Once we got down the long trail, getting them on the log was just as much work. Thankfully, I had a few assistants to help them get up and down safely. Once on the log, it was just up to me and my team. My assistants knew their spots and we went to work. It was a lot of time for only a few photos, but they turned out incredible! 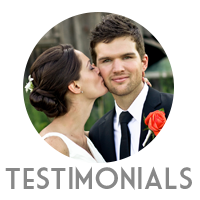 Thank you to Josh & Ryenne for trusting me through this process and being so willing to help make a great photo! I really love this one too! 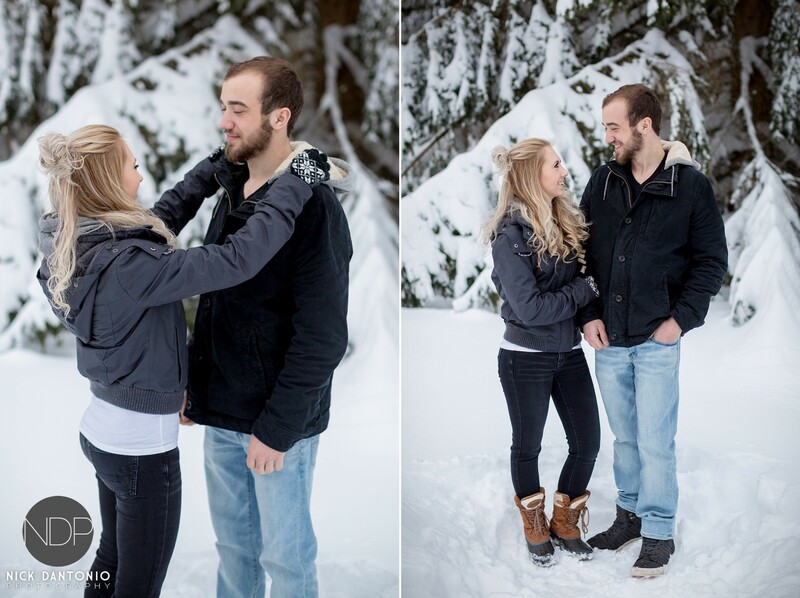 Thanks for viewing Josh & Ryenne’s Winter Storm Engagement Photos!